Summer blockbuster season is in full swing, and many of the studios’ largest tentpoles have already come and gone from theaters. But just when you thought there was nothing left to be excited about, one summer action movie is ready to get you fired up again—and it’s a loud one. Opening nationwide on Friday, Hercules is the loud, loud movie we’ve all been waiting for. 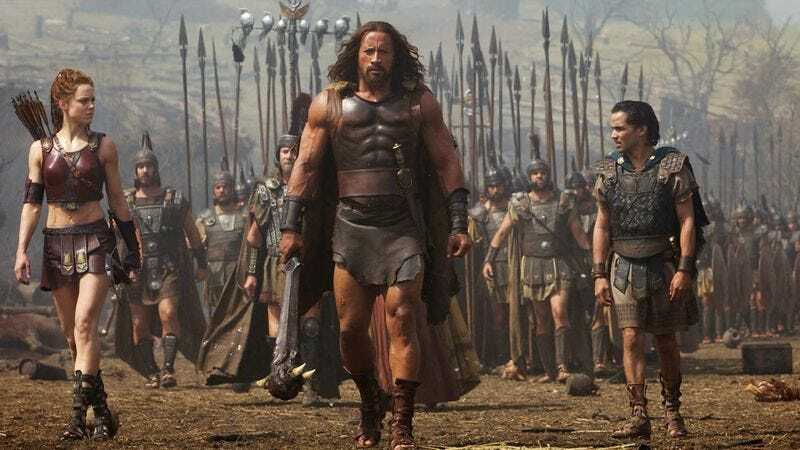 Director Brett Ratner helms the sword-and-sandals epic, which places Dwayne “The Rock” Johnson in the titular role of the shouting, yelling mythical hero. Known for his ability to blend comedy and action with high volume, the director is at his loudest here, really stretching for the first time since the third X-Men film (pretty loud) and Rush Hour 3 (only fairly loud). From roaring and screaming to explosions and things slamming into each other, it’s going to be tough to top Hercules for this summer’s loudest thrill ride. The reliably loud Johnson is backed by a strong supporting cast of frequently talking, if not outright shouting, co-stars, nicely rounding out the noisy ensemble. Relative newcomer Ingrid Bolsø Berdal makes an especially impressive debut in her first American-speaking and loud yelling role. Whether they’re fighting each other or teaming up for the final battle, the action is always loud, tightly choreographed, and very, very loud. The film is not without its flaws. At times, the pacing can become a bit of a slog, with long stretches that lack shouting or clanging, and even the musical score is not always quite loud enough for some to enjoy. But moments later, Ratner will find his footing, and we snap right back into action with another pulse-pounding scene that will leave your ears ringing for more loud yelling. From roaring and screaming to explosions and things slamming into each other, it’s going to be tough to top Hercules for this summer’s loudest thrill ride. Just make sure to hear it in 3D.